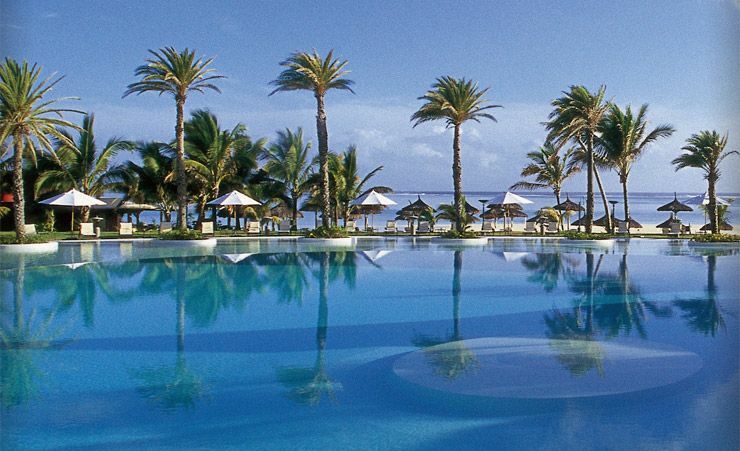 There are just so many reasons to choose the Lux Belle Mare Hotel. The setting is idyllic; it's located on the island's east coast in a quaint fishing village on the banks of the Indian Ocean. The accommodation is wonderful, with traditionally thatched roofs and classic, cool white furniture. 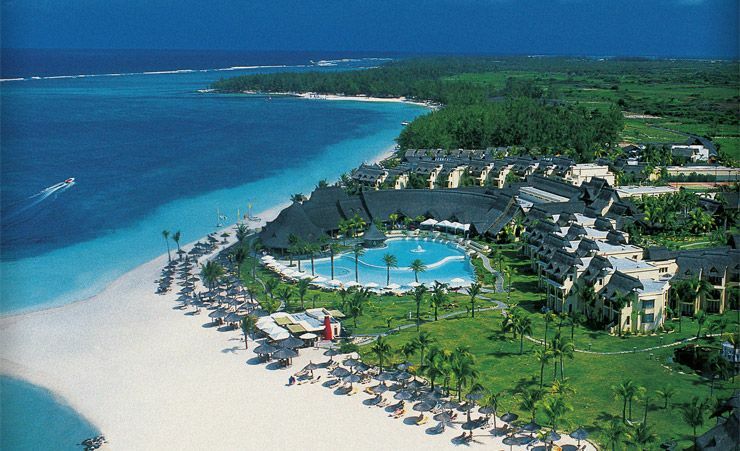 The complex is bordered by a perfect white beach and a lagoon that leads out to the wonderful warm waters of the ocean. There really aren't many more amazing holiday settings than this. 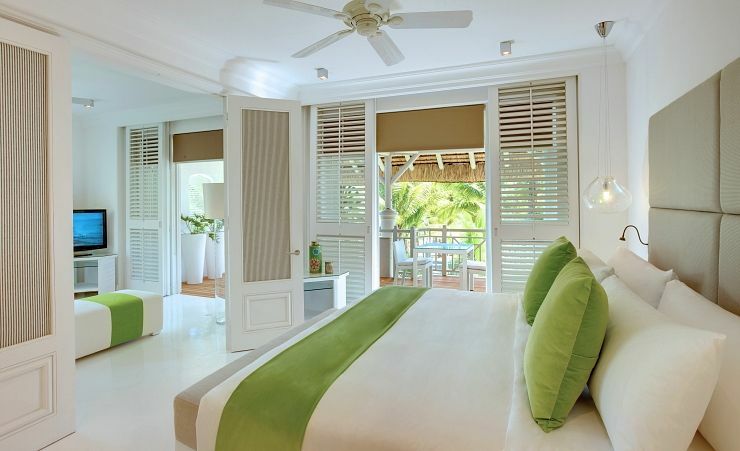 The terraces of the junior suites at the Lux Belle Mare look out over the lagoon and gardens. Whether you look out and see the silvery moonlight reflecting in the still pool, or awake to the glimmering sheen of the sun-dappled water, this is heaven. 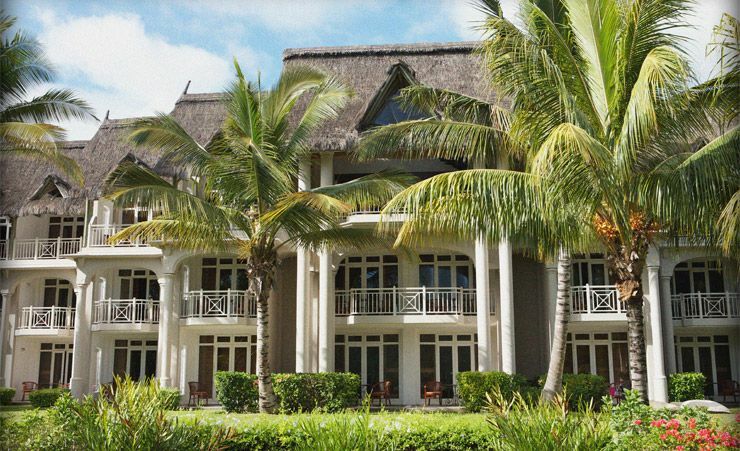 As you can already tell, everything about the Lux Belle Mare Hotel is designed for your maximum comfort and absolute enjoyment. And the fabulous hotel spa (with fitness centre) will certainly help to relax and revive you. 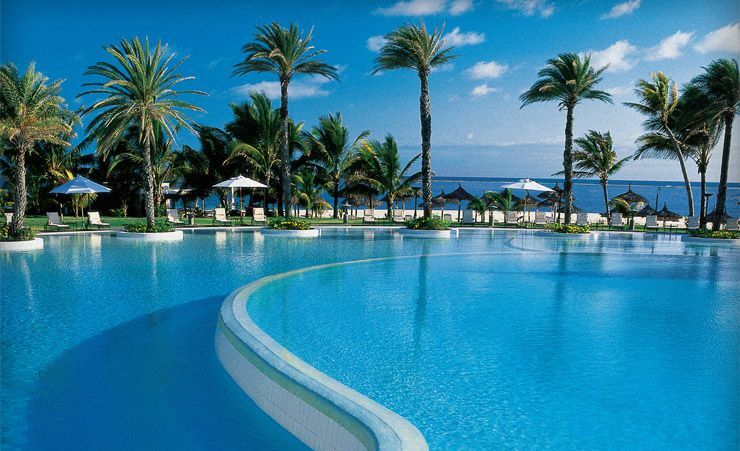 Don't forget to check out the swimming pool too – it's one of the largest on the island. And we certainly recommend one of the Lux Belle Mare Hotel's fruity, low fat ice creams, available at the pool side. Just as well it's low fat; with four restaurants, the Lux Belle Mare has an eclectic selection of restaurants to tempt you, with offerings of authentic island cuisine, Asian and Mediterranean dishes. There's a fine selection of bars too, including the laidback Piano Bar and the Café Lux – the organic island blend coffee is something special. With its exotic sea life, exciting watersports, and miles of top-notch golf courses, this is the perfect place to unwind. 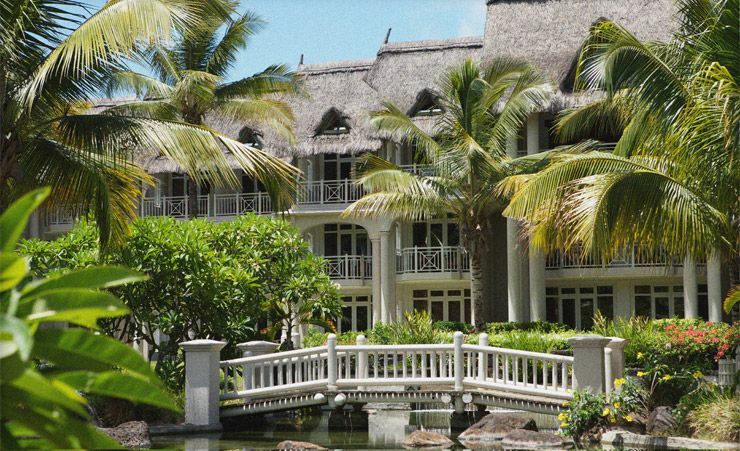 And, as one of the island's foremost hotels, the Lux Belle Mare Hotel makes unwinding in Mauritius so relaxing, so rewarding and so very wonderful. 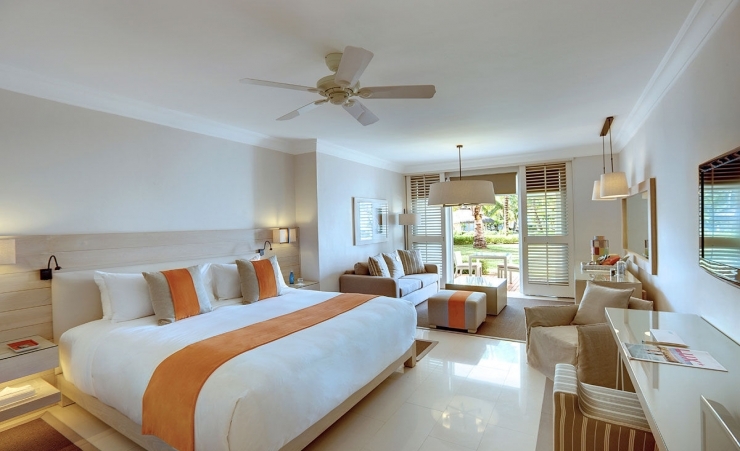 Find out more about your accommodation and the in room facilities at the LUX Belle Mare . 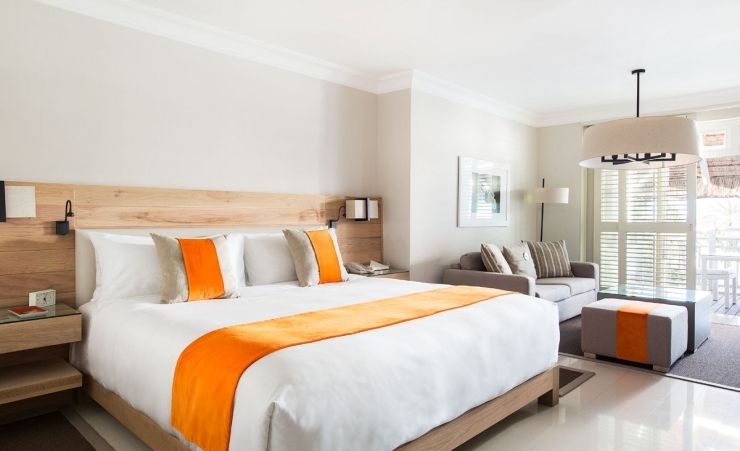 Spacious and airy, with terraces overlooking the tropical gardens and the zen pond, each Romantic Junior Suite offers the utmost in comfort and style. Kelly Hoppen’s signature palette of neutrals punctuated with accents of zingy colors adds to the inviting ambience. 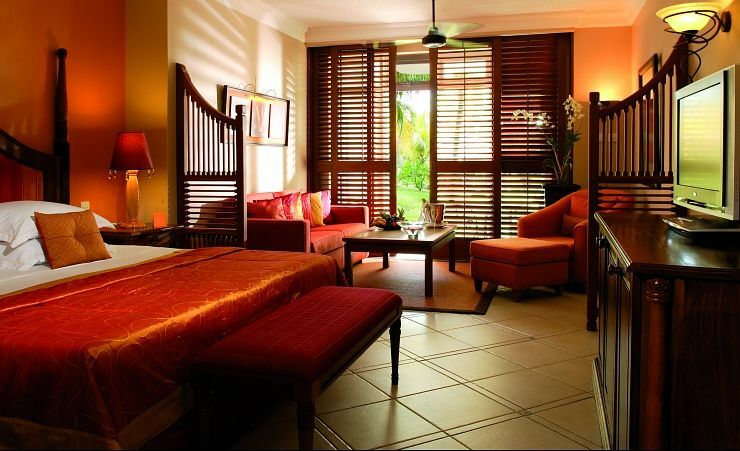 Perfect for couples; these suites provide quiet and tranquil surroundings combined with a romantic ambience including special in-room amenities. Enjoy a generous sense of space featuring vibrant dashes of colour on neutral base colours in typical Kelly Hoppen style. 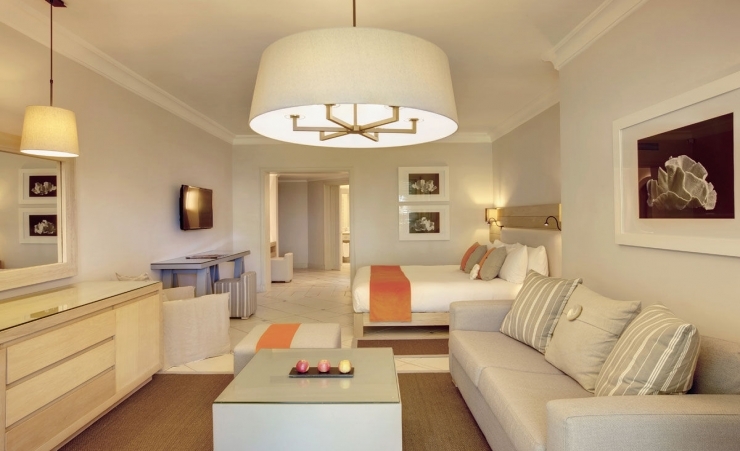 A super king-size Sleep tight bed promises the ultimate in comfort, while a leisurely sitting area and spacious terrace overlook the gardens, soft white sands and the turquoise lagoon. Freshen up in the spacious bathroom with walk-in shower, bath, double washbasins and separate toilet with adjoining dressing room. 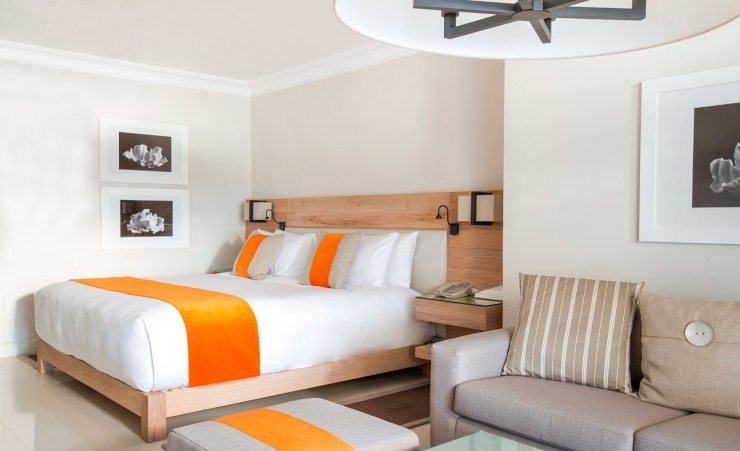 The 48 inch wide LED TV’s; elaborate minibar offerings; high speed complimentary Wi-Fi; and IPTV with movies on demand are just a few of the special features provided for these rooms. An excellent hotel. Food was fantastic and staff exceptional. Amazing scenery. A perfect holiday destination. This is the best hotel we've ever stayed. We are world travellers , but everything about this hotel is faultless. The food was excellent, accommodation very comfortable & spacious. ALL the staff were friendly and very attentive. The Manager must be very proud of his team. Would highly recommend this hotel. The hotel has a 5 star rating and it certainly is.